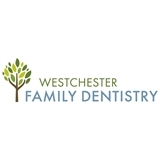 Westchester Family Dentistry (Yonkers) - Book Appointment Online! We are proud to introduce our office conveniently located at the Westchester Towers on Central Park Avenue. in Northeast Yonkers just north of Tuckahoe Road. Drs. Stan and Amy Shih (pronounced "she") provide personal, individualized dental care for our patients. Whether you are interested in preventative check-ups for yourself or your kids, whether you require prosthodontic rehabilitation (dentures, implants, bridges), or if you need relief from a painful toothache - Drs. Stan and Amy Shih will provide you with care options customized for your needs.